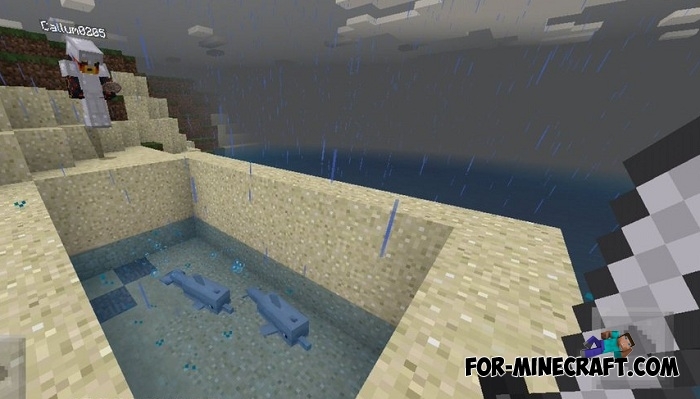 Release of Minecraft Bedrock Edition 1.2 took place not so long ago and Mojang already pleases players with the first part of the water upgrade. You can briefly get acquainted with the content that was added to Minecraft BE 1.4 (it's also Minecraft Pocket Edition 1.4). If you want to know more then go down to get acquainted with all the features and changes implemented in MCPE 1.4. But that's not all, and in the near future we will see turtles, more opportunities in the water and new aqua blocks. It's hard to single out something special from all this, because virtually every item on this list is awesome.